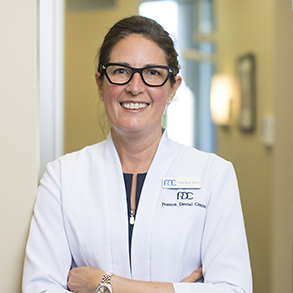 In 1987, Charlene graduated with a diploma in Dental Hygiene from Dalhousie University in Halifax, Nova Scotia and, at that time, won an award from Johnson & Johnson for proficiency in Community Dentistry Courses. After a short period working as a Dental Hygienist in Saint John, New Brunswick, Charlene moved to Ottawa where she has been working as a Dental Hygienist and actively serving the Ottawa dental hygiene community for over 20 years. Charlene practices as a Registered Dental Hygienist authorized to self-initiate treatment. As well, she works part time at Algonquin College as a Clinical Instructor where she provides support and training to dental hygiene students. Charlene also volunteers at the Dental Clinic of The Ottawa Mission and previously volunteered for the Ottawa Dental Hygienists’ Society, where she won the Oral-B Health Promotion Award on their behalf. Charlene is a member of the Canadian Dental Hygienists Association and participates regularly in continuing education activities. Charlene is dedicated to delivering a superior level of service to her clients. She enjoys promoting oral health and, in this way provides a level of care to clients which she would deliver to her loved ones or wish for herself. She will work together with you to establish a plan that will include disease prevention, therapeutic interventions and appropriate referrals. Charlene strives to support and care respectfully for each individual’s needs as well as enable them to achieve and maintain maximum oral health, which is so closely linked with overall health and well-being. As well as enjoying her professional life serving clients, Charlene loves traveling with her husband, cycling, X-country skiing and giving back to her community. Charlene is excited and honored to be a member of the team at Preston Dental Centre.